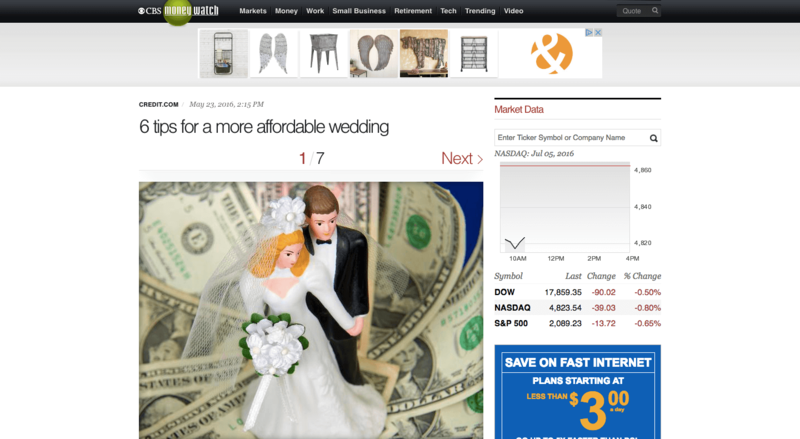 Wedding PR: CBS News, The Knot, Travel Pulse, and more! Happy August everyone! We’ve got another fantastic batch of client features including CBS News, The Knot, Travel Pulse, and so much more! Check it all out below. CBS News article featuring Glint Events, Wente Vineyards, 100 Candles, Azazie, Destination Weddings, and Where Will They Stay? See the full feature here. 100 Candles guest article on Catersource. See full feature here. Destination Weddings was featured on on Travel Pulse. See the full feature here. Stephanie Yonce Photography, Kaysha Weiner Photographer, and Bergerons Flowers on The Knot. See the full feature here. 100 Candles guest article on Special Events. See the full article here. Taylor’d Events guest blog on WeddingWire EDU. See the full feature here. Destination Weddings featured on My Hotel Wedding. See the full feature here. Cocoon Events Group guest article on Special Events. See the full article here. 100 Candles guest article on Wedding IQ. See the full article here. OFD Consulting guest blog with expert commentary from Azazie, Kaysha Weiner Photographer, and Fantasy Sound Event Services on Wedding IQ. See the full feature here.